The U.S. Census Bureau estimates that the Hispanic population in the U.S. will reach 132.8 million (or 30 percent of the total U.S. population) by the year 2050. But Hispanic students (as well as other minorities) continue to be underrepresented in the STEM disciplines and to receive STEM degrees at a lower rate than their White counterparts. In K-12 education, Hispanic students are more likely than Whites to be exposed to funding inequities and to have science teachers who did not major in science. In the face of these disparities and in honor of National Hispanic Heritage Month, we’re highlighting five Hispanic scientists that have had a major and lasting impact on the world around them. In many cases they overcame obstacles, including racism and sexism, poverty, cultural and family expectations, and lack of mathematics background, in order to work and excel in the fields that they love. Our hats are off to all of them, and to anyone out there who is studying or working in a STEM field. May these stories inspire you. Helen Rodiriguez-Trias combined the two things she loved most–science and people–by pursuing a career in medicine. Born in New York city in 1929, Rodiriguez-Trias moved back and forth between New York and her parents’ native Puerto Rico during her childhood and early career. She graduated from the University of Puerto Rico Medical School in 1960 and established the island’s first center for the care of newborn babies, which dramatically lowered the death rate for newborns at the hospital where she completed her residency. In 1970, she moved back to New York where she became head of the pediatrics department at Lincoln Hospital in the South Bronx. In addition to her work as a physician, Rodiriguez-Trias fought to improve medical care for people who had limited access due to poverty, cultural and language barriers, and discrimination. 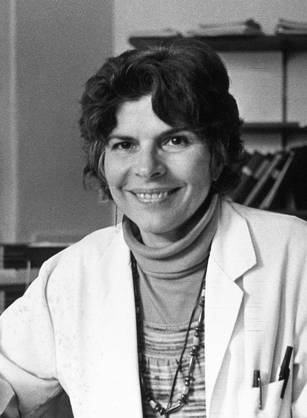 Among her many leadership roles, Rodiriguez-Trias served as the (first Latina) president of the American Public Health Association and the medical director of the New York State AIDS Institute. She also became a tireless advocate and leader in the women’s health movement, fighting for equal access to healthcare for poor women and children and fighting against the horrifying practice of forced sterilization. In 2001, less than a year after receiving the Presidential Citizen’s Medal, Helen Rodriguez-Trias succumbed to cancer. At a very young age, Francisco Dallmeier knew that he wanted to follow in his great-grandfather’s footsteps and make a career out of working with plants and animals. At 14, he began volunteering at the La Salle Museum of Natural History in his hometown of Caracas, Venezuela. He moved up the ranks with remarkable speed, and by age 20, he was appointed director of the museum. At the same time, he was working toward a biology degree at the Central University of Venezuela, and he eventually moved to the United States to pursue a masters and then a Ph.D. in wildlife ecology at Colorado State University. From Colorado, Dallmeier went to Washington, DC to work at the Smithsonian Institution. As the head of the Smithsonian’s Monitoring and Assessment of Biodiversity (MAB) program, he has developed important and widely-recognized techniques for measuring and tracking changes in biodiversity. Dallmeier has worked all over the world in places as far reaching as Gabon and Peru focusing on ways to help environmental advocates and industry work together to reduce the impacts of human development. MAB now has more than 300 research plots and trains scientists around the world in the tools and techniques of conservation biology. Ynes Mexia found her true passions–botany and exploring–a bit later in life. The daughter of a Mexican diplomat and an American socialite, Mexia was born in Washington, DC in 1870. She made her first career as a social worker, and it wasn’t until age 51 that she began taking classes in botany at the University of California at Berkeley. In 1925, she joined a botanical collecting expedition to Mexico sponsored by Stanford University but decided to break off from the group to collect on her own. She returned with more than 1,500 plant specimens, but that was only the beginning. Mexia went on to conduct collecting expeditions (often solo) in Alaska, the western U.S., Mexico, and South America, including a 4,800-kilometer canoe trip along the Amazon River. During her last expedition to Mexico, she became ill and was diagnosed with lung cancer. She died in 1938 shortly after her diagnosis. Mexia’s career in botany was short, but her contribution was large: in 13 years of work she collected nearly 150,000 specimens. Among those, roughly 500 were new species, and two were new genera. As a child growing up in La Mesa, CA, Ellen Ochoa loved math and music. She earned her undergraduate degree in physics from San Diego State University, and was contemplating a career in business or as a classical flutist. In the end, she decided to go to graduate school for electrical engineering at Stanford University. In 1983, two years before Ochoa completed her Ph.D., Sally Ride, the first American woman in space, made her first shuttle mission. Ochoa was inspired, in part by Ride, to apply for the astronaut program. She was accepted and became an astronaut 1991. She would soon become the first Latina to go to space. Since then, Ochoa has logged 978 hours in space, earned three patents, and held a slew of leadership posts at NASA that include assignments on four space missions (at least one of which involved a flute recital in space). Ochoa now serves as Deputy Director of the Johnson Space Center and has received many awards for her work as an engineer, physicist, astronaut, and leader. She has also traveled around the country sharing her experiences with students in the hopes that they will be inspired to dream big and follow their passions. By age 11, Mario Molina had already decided that he wanted to be a research chemist. Born in Mexico City in 1943, Molina was hooked on science the first time he peered through a microscope and saw tiny amoebas swimming around. He converted a little-used bathroom in his family’s home to a chemistry lab, and, with the help of an aunt who was a chemist, began conducting chemistry experiments appropriate for college freshmen. After attending boarding school in Germany, Molina returned to Mexico to study chemical engineering at Universidad Nacional Autónoma de México (UNAM). When he graduated, Molina knew he wanted to pursue a Ph.D. in physical chemistry, but he also knew his math and physics skills would be behind other students who had majored in physical chemistry. He did some graduate coursework in Germany, spent several months studying math on his own, and taught at UNAM before eventually applying to get his doctorate at University of California at Berkeley. With his Ph.D. in hand, Molina went to work in the lab of F. Sherwood Rowland at the University of California at Irvine. There, he began studying what happens to a class of nonreactive chemicals called chlorofluorocarbons, or CFC’s, when they are released into the air. Molina and Rowland quickly realized that when the sun breaks down CFC’s in the upper atmosphere, the chlorine atoms released catalyze a reaction that destroys ozone molecules. That reaction, repeated over and over again, would eventually deplete and lead to thin spots in the Earth’s protective layer of ozone. This realization, combined with work by another scientist named Paul J. Crutzen who was studying the ozone layer over Antarctica, eventually led to a global ban on CFC’s–and to the 1995 Nobel Prize in Chemistry for the three researchers. These are just a handful of the many, many inspiring stories out there, and it was extremely difficult to pick five. Please share your thoughts with us: which Hispanic scientist(s) do you find most inspiring? If you are interested in learning more about these and other Hispanic leaders in science, check out these resources. Christine is a freelance writer, editor, and content strategist, specializing in science and nature. She holds an Bachelor's degree in Environmental Science and Media Studies and a Master's of Science Writing. She has been working in science communication and education for nearly a decade as a journalist, an organizer for conservation groups, and a museum educator. Before joining the Visionlearning team, she served as the New Media and Online Community Manager for the Webby award-winning Smithsonian Ocean Portal. Christine is assisting Visionlearning with developing new modules and glossary terms, managing the blog, and outreach through social media.